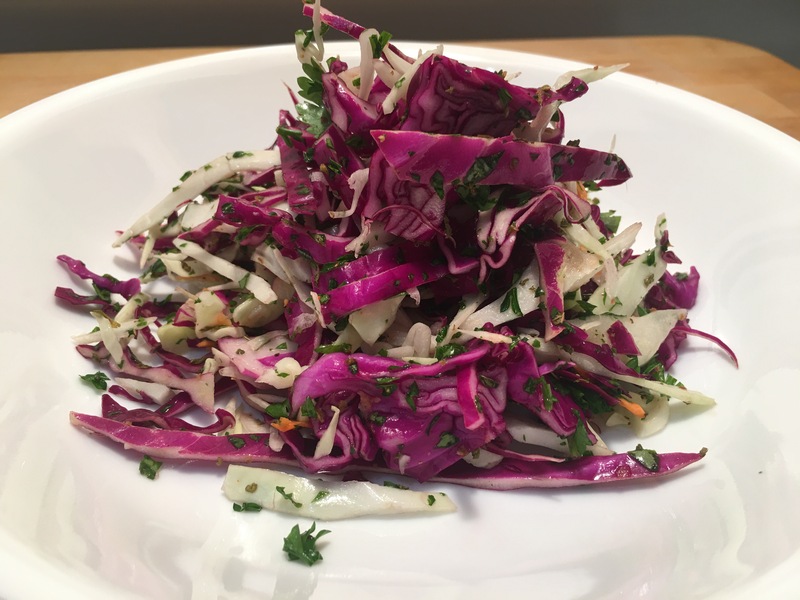 Crispy, vinegar based coleslaw – Hurried Home Chef! 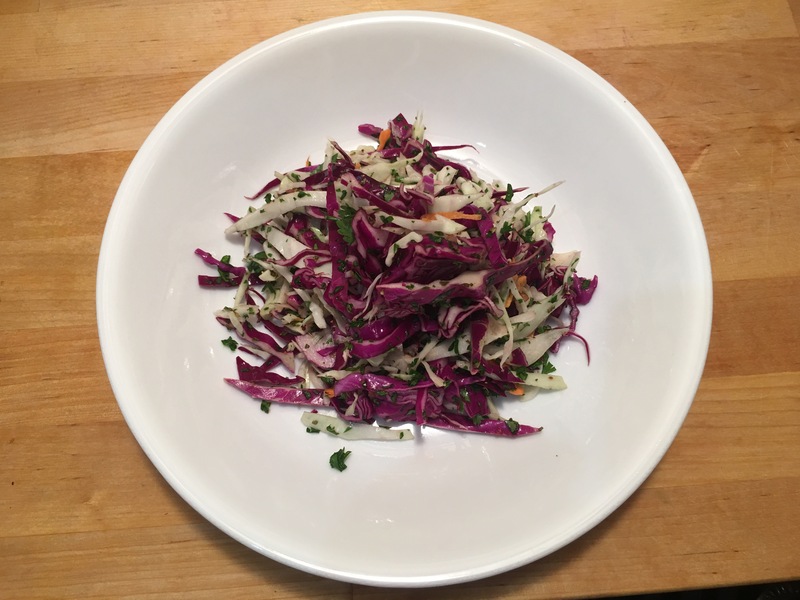 I’m trying to keep things a bit lighter these days and a coleslaw is a great side dish to have around for several dishes. 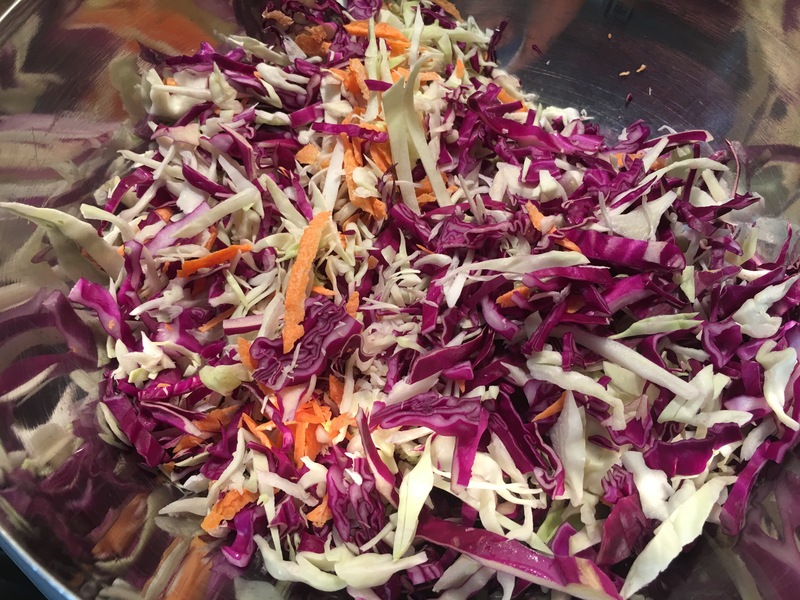 Start with 2:1 purple to green cabbage and some shredded carrots to give some color. 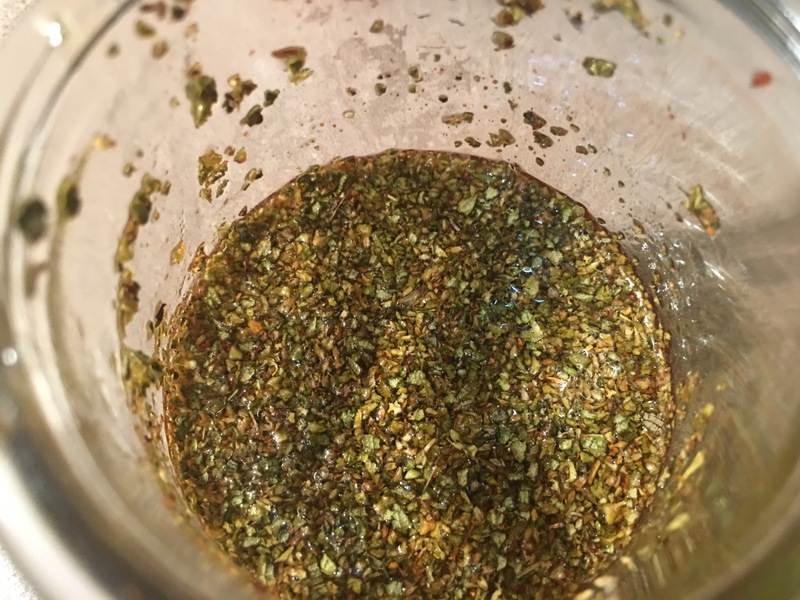 Mix some apple cider, oregano, salt, cayenne, black pepper and some maple syrup and be sure it dissolves well. 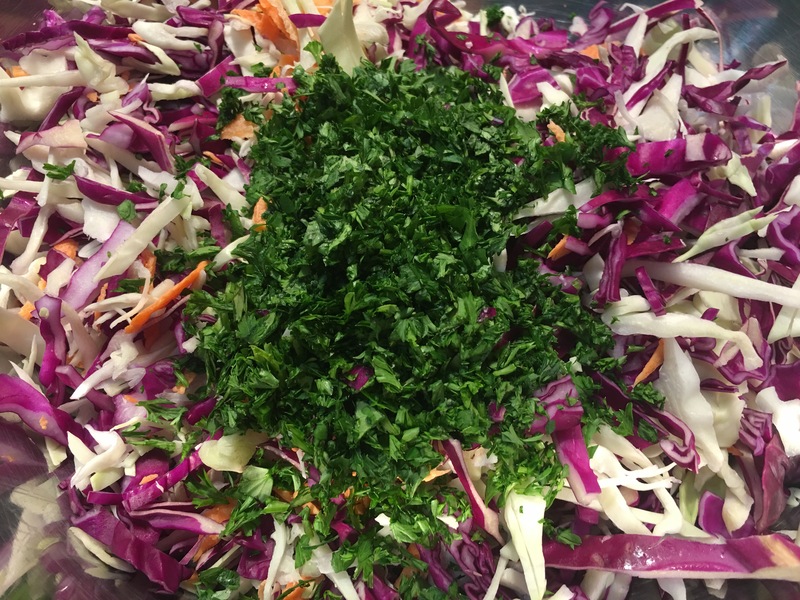 Add the cilantro and parsley, fresh is a must, then add the dressing and mix well. This goes well on the side of most pork dishes, fish tacos, steak, chicken thighs, and BBQ as well! Store upside down in a air tight container, this allows the dressing to stay on the top. Next Post Beef and vegetable crockpot soup for two!